You may have heard of Infowars – it’s widely regarded to be a Trump-supporting purveyor of fake news, another hub of the alt-right. And it’s making money hand over fist. How? 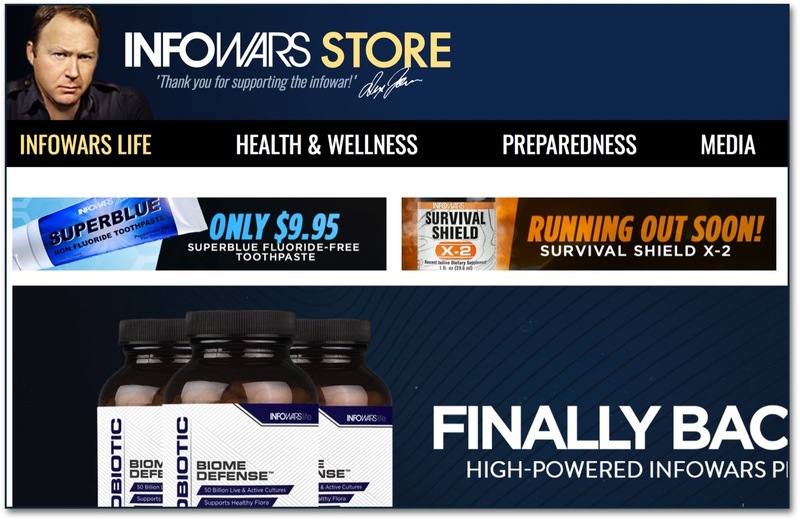 A representative from PowerReviews, which manages Infowars’ review system, told me that between 3 percent and 8 percent of purchasers generally review their products. Assuming that 5 percent of Jones’s customers review each product they’ve purchased, the total sales would be more than 500,000 units sold over two years. At an average price of $30, this would represent $15,000,000 in sales over the same two-year period. If we assume more generously that reviews represent closer to 3 percent of the total number of purchasers, the number balloons to nearly $25,000,000. That’s a lot of money — especially when you consider that a devoted audience like Jones’s is likely filled with repeat customers who may not review each individual purchase.